Happy Easter!! May your day be filled with love, joy, and peace. 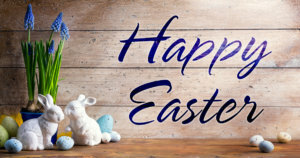 This Easter Sunday, enjoy time with your family, friends and loved ones. McGregor General Store will be CLOSED for the holiday on Sunday, April 21. We’ll see you all on Monday! If you can’t wait, check our online store. New arrivals are added everyday including clearance items!